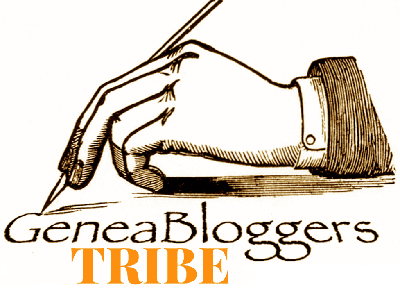 It's the last day of the year, so it must be time to do the accounting for my blog. What did readers think was the most interesting? What garnered the most commentary? Just to show that you can't rely on past years as a guide, the top 10 posts this year for my blog went in a very different direction from what has gone before. Six of the ten were Wordless Wednesdays, which are family photographs. And only one episode of Who Do You Think You Are? made the list. 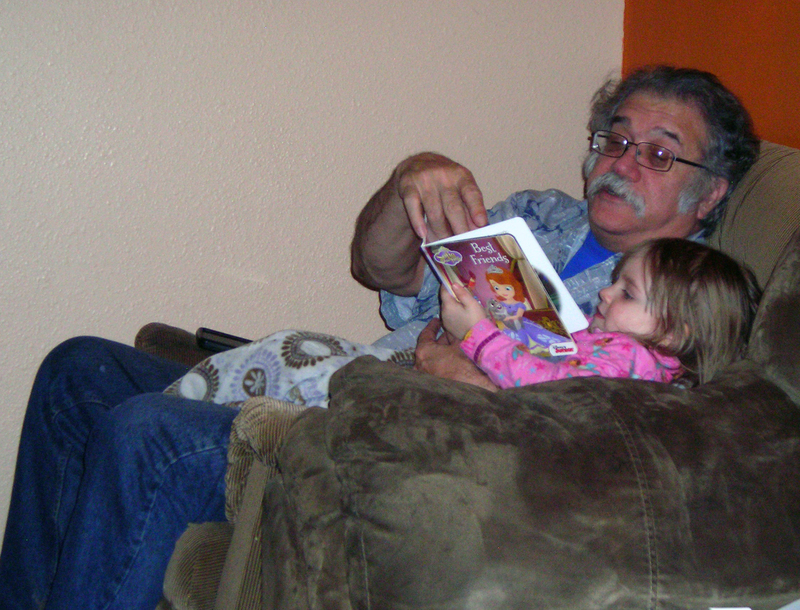 #10 is a Wordless Wednesday post with two photographs of my cousin Ben Kushner. #9 is my comments about the first two days of the 2017 IAJGS International Conference on Jewish Genealogy, which took place in July in Orlando, Florida. 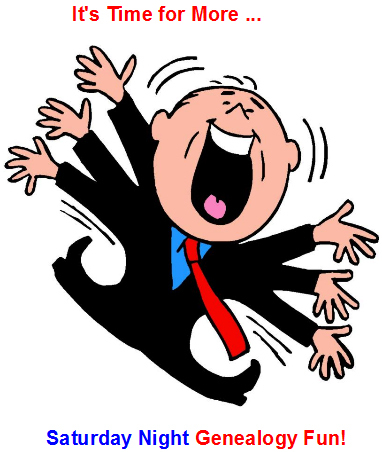 #8 on the list is a Saturday Night Genealogy Fun post where Randy Seaver asked his readers to write a 100-word story about an interesting ancestor. I wrote about an 8x-great-grandmother who was a Quaker preacher. Apparently other people found her interesting also. Now there are three Wordless Wednesdays in a row. 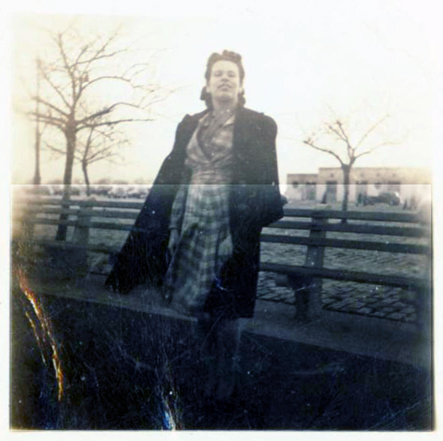 #7 is another cousin, Fannie Perlman Amron, at the beach in the 1960's. #6 is not actually of my family members, but those of a friend. Edgar Orloff is the young boy, and the man is his uncle Izzie Oberstein. For #5, my hypothesis is that this woman is related to my Szocherman cousins because the photo was with other ones from that branch of the family, but I don't actually know who she is. I wish one of the people who saw this post could tell me! #4 is a post I did for Elizabeth O'Neal's Genealogy Blog Party. The theme that month was "How I Did It", and the point was to explain the process behind a discovery. I wrote about how I identified the individuals in a photograph from Russia. Then we return to more Wordless Wednesdays. #3 is a photo of my mother when she is about 2 years old, with her parents in New York, probably Brooklyn. 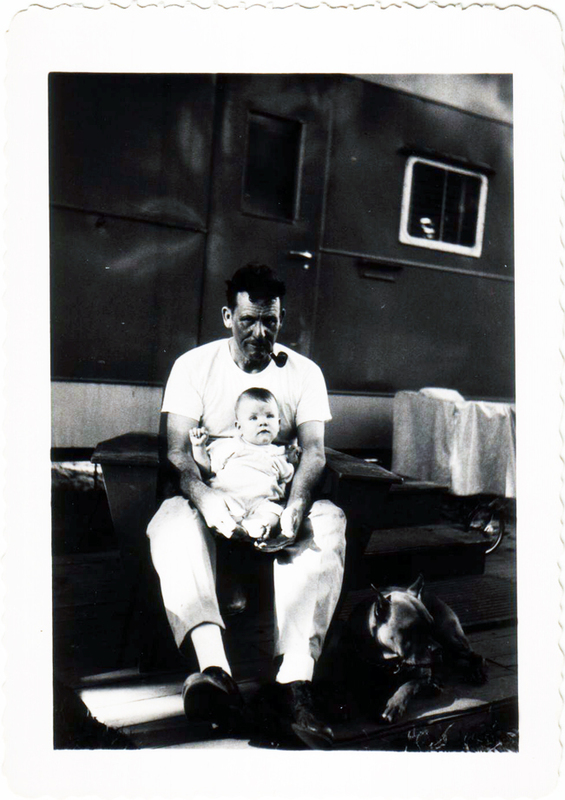 #2 is my paternal grandfather holding his youngest daughter, my aunt Carol, with his dog Judy at his feet. My #1 post for 2017 was my write-up and analysis of the season opener for Who Do You Think You Are? Courteney Cox had 40% more views than the next closest post. Surprisingly, the other three episodes of Who Do You Think You Are? that I posted about didn't even come that close, having only about half the number of views and far from being in the top 10. I don't know if that's a reflection of interest in Cox as the subject compared to the other celebrities, waning interest in the series, or something else. 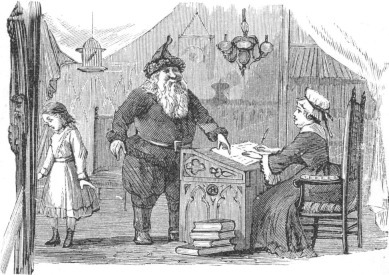 The most commented-on post this year was a Saturday Night Genealogy Fun, which is what happened last year. This year's post was a list of the places to which I have traveled. Apparently I'm far above average as compared to most Americans. My overall most-viewed posts have again not changed from previous years. Readers are still interested in potentially gaining dual citizenship via descent (also maintaining its lead with the most comments), followed by the Lionel Ritchie episode of Who Do You Think You Are? Their leads might be unreachable at this point. 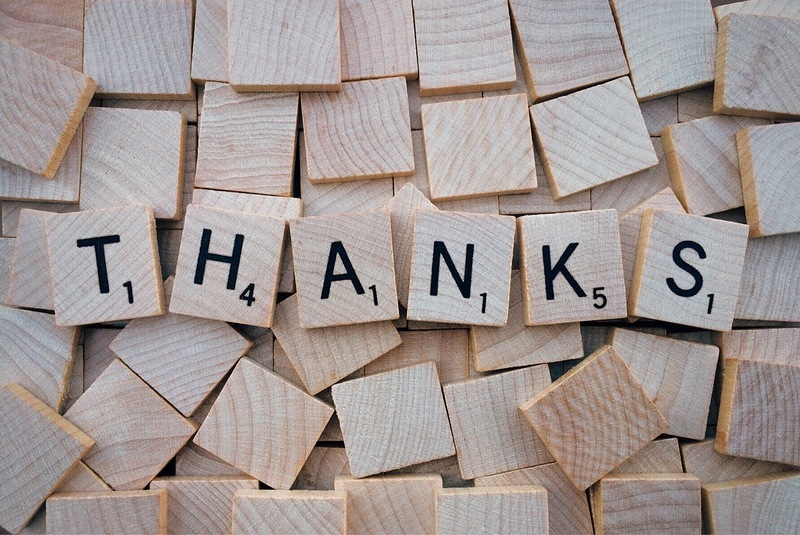 I'm never certain that I say thank you often enough to everyone who deserves it. 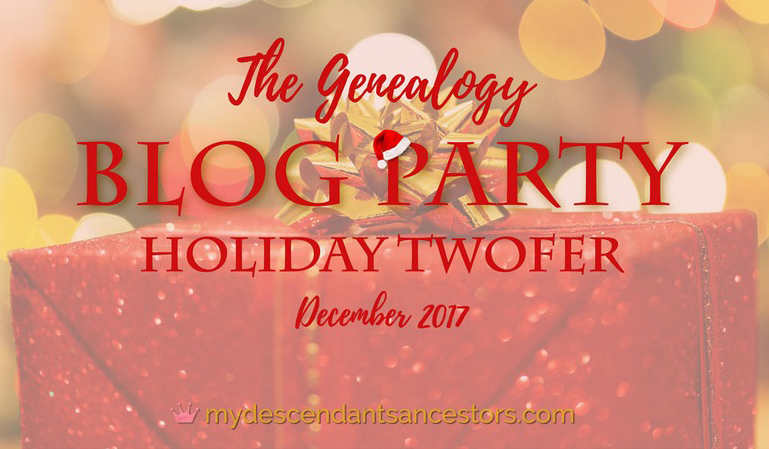 Having a blog means that I can at least make sure that I publicly thank as many of my genealogy colleagues as possible, so they and everyone else know how appreciated they are. I want to start with the groups that generously hosted me as a speaker during the year. I am thankful that they considered my contributions helpful for their members and hope to be invited to speak again in the future. I also want to thank those groups where I was privileged to learn from others. I'll never know everything, but I try hard to take advantage of opportunities to learn whenever they are available. And while many individuals helped me during the year, some simply went above and beyond what would have been expected and truly made my year better. I especially want to thank Thom Reed of FamilySearch, without whose invaluable assistance I would not have been able to navigate RootsTech; and Alan, one of my readers, who helped me reunite a special photo with its owner. Thanks also go to the readers of my blog. I appreciate that you take the time to come along with me and learn new things about genealogy. I hope you have enjoyed this year's trip and come back for more next year. So happy new year to everyone! Be safe but have fun! Saturday Night Genealogy Fun: Have You Visited an Ancestral Town? In this week's installment of Saturday Night Genealogy Fun, Randy Seaver asks us to comment on some of our genealogical travels. (1) Have you ever visited one of your ancestral towns? If so, tell us the town, where it is, when you went, and who your ancestors are from that town. (2) Share your experience with us in a blog post of your own, a comment on this blog post, or in a Facebook post. Please leave a comment on this post to lead us to your story. I have visited more than one of my ancestral towns, but the one I spent the most time exploring is Mt. Holly (and surrounding area), New Jersey. 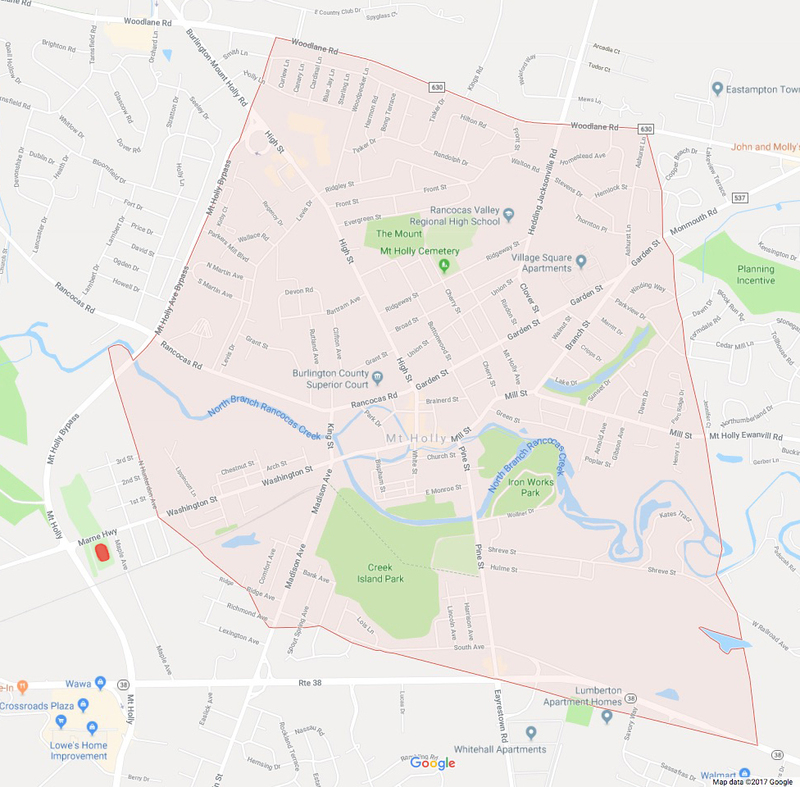 It is in Burlington County, not far from Philadelphia. I went there in 2005 on a side trip to the Bahamas (long story). My paternal grandfather was born in Mount Holly in 1903, and my paternal grandmother was born nearby in 1893. Both of their families had long-established roots in the area dating back decades, if not centuries. One of the main reasons I visited Mount Holly was to try to find my great-grandfather's grave and see if he had a tombstone. My grandfather's sister Betty wanted to know if her father had a stone, and if not we were going to get one for him. I learned from Elmer's death certificate that he was buried in Brotherhood Cemetery, which technically is not in Mount Holly proper. It's that small red circle just to the west of the Mount Holly city line in the map above. When I visited the cemetery, I discovered it was fairly small, so I thought it wouldn't be difficult to find the grave. Boy, was I wrong. I walked up and down every row at least three times and couldn't find him. I knew from having spoken to the cemetery sexton before leaving for my trip that he was unavailable during the day, so I tried to figure out who else might be able to help me. The only place I could think of that might have knowledge of the layout of the cemetery was the funeral home which had taken care of Elmer's burial in 1918 and which was still in business (at the time it was the second-oldest family-owned funeral home in the state, although I don't know if that is still true today). So I called the Perinchief Funeral Home and explained my predicament. I was totally surprised when the owner and his son (both Perinchiefs, of course) offered to come out to the cemetery to help me look! And that they did. The three of us walked through the cemetery, up and down and across, and none of could find Elmer. I thanked them very much for making the effort and waited until that evening to call Mr. Szelc, the sexton. I explained the two searches undertaken that day and our singular lack of success. He told me to go back to the cemetery in the morning and that he would mark Elmer's grave with a small orange flag. The next morning I dutifully returned to Brotherhood and walked up and down the rows yet again. Even with Mr. Szelc's instructions, I almost missed the (very) small orange flag he had placed. Once I found it, I realized why even the three of us searching the day before had missed the stone. It was a very small half-circle made of marble, and it had heavily eroded in the intervening almost 90 years. Even with the flag next to it, I could barely discern the name "SELLERS" on the stone. So the good news was that I could tell my grand-aunt that yes, her father did have a tombstone. When she heard about the condition, she wanted to have a replacement made. I thought that would be easy to accomplish, as Mr. Szelc, along with being the cemetery sexton, was also a stonecutter (nice cross-over business). Surprisingly, I could never get Mr. Szelc to return my calls after that, and we were unable to have a new stone made before my aunt passed away (and in fact I still haven't had the stone replaced). The other important thing I did while visiting around Mount Holly was find the house in which my grandmother was born, in Masonville. 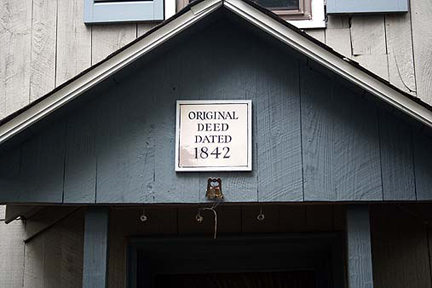 My father had visited some years earlier while traveling with my stepmother and told other family members about the sign over the door noting the date of the home's original deed, but somehow (!) he had neglected to take a photograph of the house for the rest of us (even though he's spent most of his life taking photos). I made sure to take care of that omission on my trip. I've come across several more genealogically oriented projects that are looking for assistance. While you consider which seasonal toy drive you might want to contribute to, also think about how you can help with your time, knowledge, or family items. Scribes of the Cairo Geniza is a project to sort, transcribe, and translate the fragments of documents discovered in the Cairo Genizah. During phase I of the project, volunteers will sort fragments into different categories based on their script types, which offers clues to the type of text a fragment contains. Having this information for the entire collection will allow the fragments to be sorted into workflows for transcription in phase II (launching in Spring 2018). The results from Scribes of the Cairo Geniza have the potential to rewrite the history of the premodern Middle East, Mediterranean and Indian Ocean trade, and the Jewish diaspora. Until now, most of the information has remained locked away in undeciphered manuscript fragments; less than one third of the 350,000 items have been catalogued in the years that the cache has been known to exist. Virtually all scholars who have studied these texts have come away with a transformed sense of the history of the region and the long ties of intimacy among its people. Students and the general public will have the opportunity to benefit from encountering these fragments online and from learning how to sort and eventually transcribe them as members of a citizen scientist community. This project is a way for people with shared interests and different skill levels from around the world to meet in a common endeavor and unlock this storage chamber of ancient fragments. 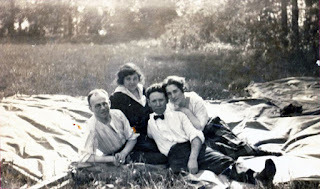 If you or a relative spent any time in Kitchener Camp, a Jewish refugee camp in Sandwich, Kent, United Kingdom, immediately before or during World War II, the organizers of a site are seeking photos, memories, etc. The intention is to establish the site and then find an institution to maintain it as a memorial. More information can be found on the Web site, http://www.kitchenercamp.co.uk/. The Port Hope Archives ((Northumberland County, Ontario, Canada) is asking for help in identifying soldiers and civilians iin its collection of photographs relating to World War I and World War II. 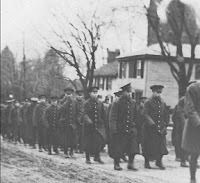 The primary focus was in connction with this year's Remembrance Day (Veterans Day here in the United States), but the archives continues to receive photos and welcomes any efforts to name the people in them. Judith Ellen Elam is in charge of bringing an exhibit titled "The German Roots of Zionism" to Maui, Hawaii. It will be on display for three months at the local Nisei Veterans Memorial Center, probably starting in August 2018. Her group is trying to tie the exhibit in with a Hawaiian-Japanese theme as well. The 522nd Field Artillery Battalion was activated February 1, 1943 at Camp Shelby, Mississippi as part of the 442nd Regimental Combat Team. The unit was composed of both mainland and Hawaiian Japanese-Americans. It is best known for liberating some of the Dachau subcamps. Judith would like to make contact with anyone who has personal information (documents, photos, testimonials, etc.) about Jews liberated from Dachau subcamps by the 522nd Field Artillery Battalion. The group would like to showcase the personal items in a display for the duration of the exhibit. Please contact Judith at elamj@hawaii.rr.com if you can assist her. 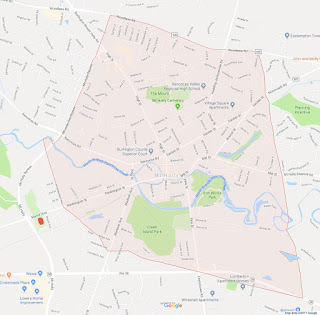 The Columbus (Ohio) Jewish Historical Society is collecting the names of Jewish central Ohio World War I veterans who served in the United States armed forces, as well as those who served in other countries but had a link to central Ohio. If your family had Jewish WWI veterans with a link to central Ohio, please contact Toby Brief at tbrief@hotmail.com or history@tcjf.org. The society has collected more than 230 names so far and knows that there are more to be added. 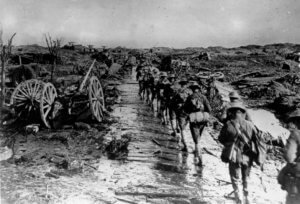 In another focused memorial effort relating to World War I, Flinders University in South Australia is seeking contributions toward a public event planned for February 23 and 24, 2018 in Adelaide. "South Australians in France" will bring together people with heirlooms and specialists of various types to discuss the stories behind those objects. The project has a Facebook page where photos can be posted leading up to next year's event. Arizona State University has received a grant that will permit it to hold workshops over the next three years to teach state residents how to care for their fragile family heirlooms and artifacts. People will be able to digitize documents and will help build the state's community archive in the process. A specific effort is being made to reach out to the Latino, Asian, black, and LGBTQ communities to make sure their stories are saved. The Quincentennial Foundation Museum of Turkish Jews in Istanbul is planning an exhibition on Jewish life in Trakya/Thrace. It will attempt to include all the localities, from Edirne to Gelibolu, including Tekirdag, Tchorlu, Silivri, Kirklareli (Kirk Kilise), Canakkale, Luleburgaz, etc. It will range from ancient days to the present time. The museum is asking for digital photos of people and artifacts, and stories for the exhibition. If you have something that might be of interest, contact Metin Delevi at metindelevi@gmail.com. David Sandler is working on a book about South African landsmanschaftn (sick and benefit societies) which will incorporate all brochures and booklets of societies he can obtain. So far he has booklets from Keidan, Krakenowo, Ponevez and Malat and Districts. Many associations were active in South Africa over the years, including ones related to Anykster, Birzer, Dwinsk, Keidan, Kelmer, Kovno, Krakinover, Kroze, Kupisker, Kurland and Riga, Lutzin, Minsk, Ponevez, Poswohl, Plungian, Rakishok, Schavlaner, Schawler, Shater, Tels, Utianer, Wilner, and Zagare. The SAJBD archives at Beyachad are assisting David, but he is appealing to everyone for any publications from any of these South African societies. You can contact him at sedsand@iinet.net.au. Approximately 95% of the proceeds from David's books go to Arcadia (the JHB Chevra Kadisha) and the balance to Oranjia (CT) and the JDC. Agata Zalewska is the Film Collection Manager for Filmoteka Narodowa, the Polish National Film Archives in Warsaw. As a state cultural institution, Filmoteka Narodowa is charged with protecting national cultural heritage in cinematography and dissemination of film culture. Since its inception in 1955, the archives has been collecting and restoring films made in Poland, with the hope of finding copies of all films. It has an almost complete collection of films made from 1946 onward. Of course, more early silent films are missing than later films. Filmoteka Narodowa has restored 75% of Polish feature films made between 1930 and 1939. Besides films, it has extensive collections of promotional materials, books, posters, stills, and other materials related to films. It makes its items available in its library; though movie showings, festivals, and lending; and though the production of print and digital media. For example, it has published a DVD containing six restored shorts and an introduction about the early days of World War II for Poland, especially Warsaw; the DVD includes an English version with subtitles. Agata’s primary interest at Filmoteka Narodowa is in finding missing Polish films. Although it has become harder and harder to find films, and in many ways it is a race against time, Filmoteka Narodowa keeps turning up a gem here and there. There is no telling where a film — full-length, documentary, or short — may be found. For instance, in the late 1990's, a 1929 film was found in the Royal Archives in Brussels, and in 2003 a 1914 film was purchased from Filmmuseum in Amsterdam. Others have been found in private collections stored away in attics and forgotten. If you have any materials that would be of interest to Filmoteka Narodowa or know where any are or might be, please contact Abbey H. Brewer or Agata Zalewska. 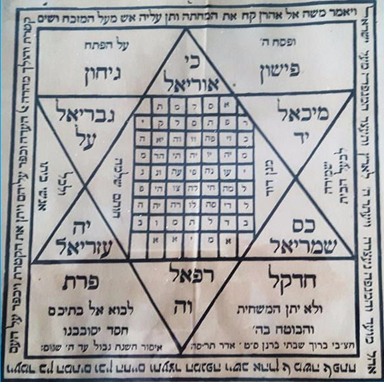 A Jewish Reform synagogue in London is looking for help in deciphering an amulet in its possession. 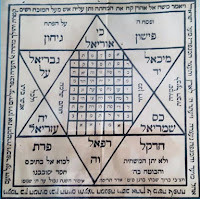 The amulet was "dumped anonymously in the shul." While most of the Hebrew has been translated, the central letters are still a mystery. Anyone who has an idea as to the meaning is invited to contact the synagogue.